Concours of Elegance 2016 takes place at Windsor Palace in London from Friday the 2nd of September to Sunday the 4th of September, bringing some of the most exceptional cars from all over the world. 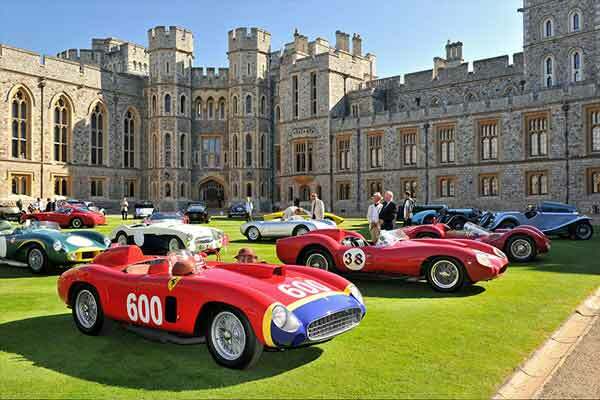 2016 marks the show’s fifth year and to celebrate Concours of Elegance returns to the spectacular venue where the event was first established, the largest and oldest inhabited castle in the world, Windsor Castle. Concours of Elegance 2016 – What’s on? Concours of Elegance 2016 once again brings together 60 of the world’s finest cars. The Concours of Elegance event differs from a traditional classic car concours, as the judging for the concours is done entirely and exclusively by the owners of the vehicles entered, not by a more formal judging panel. 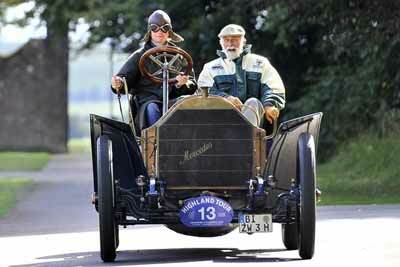 The Concours of Elegance organisers maintain that if a car has been invited to participate, it is already a winner. Each owner votes for another car in the Concours that they consider the most elegant and the car with the most votes receives the stunning Concours of Elegance Pullman Trophy and is named ‘Best in Show’. This year’s Concours of Elegance show promises to have the broadest selection of cars ever. The new feature lawn focusing on the latest supercars from legendary marques such as Ferrari, Bugatti, Lamborghini and Aston Martin. In 2015 the Best in Show award went to the 1903 Mercedes Simplex 60HP of Anke Ruckwarth. Concours owners were in awe of the incredible engineering in this 112 year-old car, powered by a 9.2-litre four-cylinder engine and capable of nearly 80mph. Only four are still known to exist in the world today. In addition to the main concours event, hundreds more classic and modern cars support the event from manufacturers, collectors and clubs from all over the world and a key objective of the event has been to raise significant sums for charity, with over £600,000 raised to date. His Royal Highness Prince Michael of Kent is the events Patron, and Chief Judge in the highly sought after Royal Automobile Club Club Trophy, which brings together the ‘best of the best’ of the UK’s car club scene, with the Trophy winner granted automatic entry in to the following year’s Concours of Elegance selection of 60 cars. The Concours of Elegance 2016 event at Windsor Castle opens to the public on Saturday the 3rd and Sunday the 4th of September 2016. Entry tickets must be purchased strictly in advance.